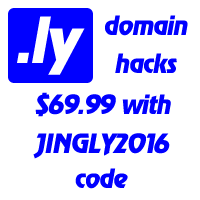 As just posted by one of our readers, .li domain names (those of Lichtenstein) stand little chances in branding when comparing to .ly. While, in English, there are about 8,000+ words ending with “ly” (we daily use only 800 words) – there is hardly any brandable word ending with “li”. These words make 2.5% of top 3,000 and are topped only by four more popular endings “ed”, “ing”, “es” and “er”. The most interesting name is probably tripoli, which is as the matter of fact, the capital of Libya, hence makes more sense as tripoli.ly or tripo.ly. you noticed that 8 is more used than 7, and 11 is far behind 12 and a dozen of other numbers in the Top3000? FYI, 12 is twice popular than dozen – the shorter – the better. Dell (founded in 1984) made its name building PCs more efficiently than anyone else and selling them direct to consumers. That model does not neatly transfer to other products. Cisco Systems (also 1984) makes internet routers. It has diversified into other areas, such as videoconferencing, but chiefly because it thought this would increase demand for routers. Microsoft (1975) is hugely dependent on Windows, which is its answer to everything.